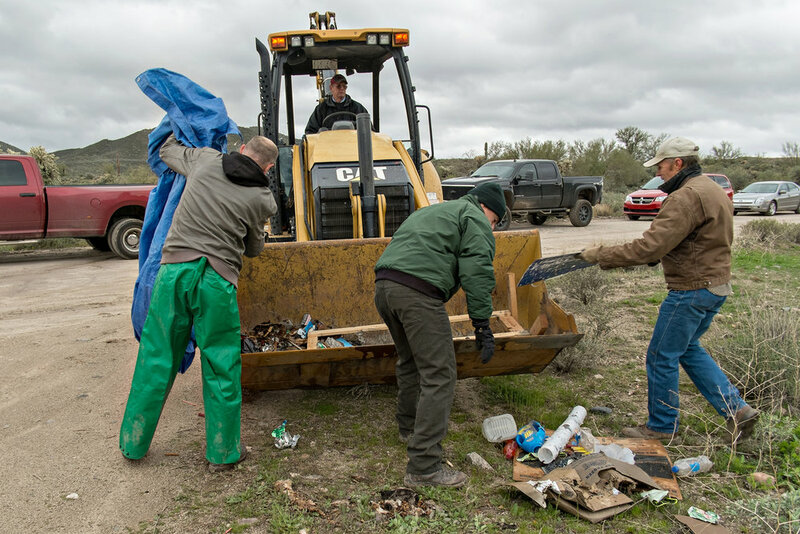 Natural Restorations teamed up with Footprints Matter to Us for the 8th Annual Footprints Matter to Us Environmental Stewardship Event on Saturday, January 21st, 2017. 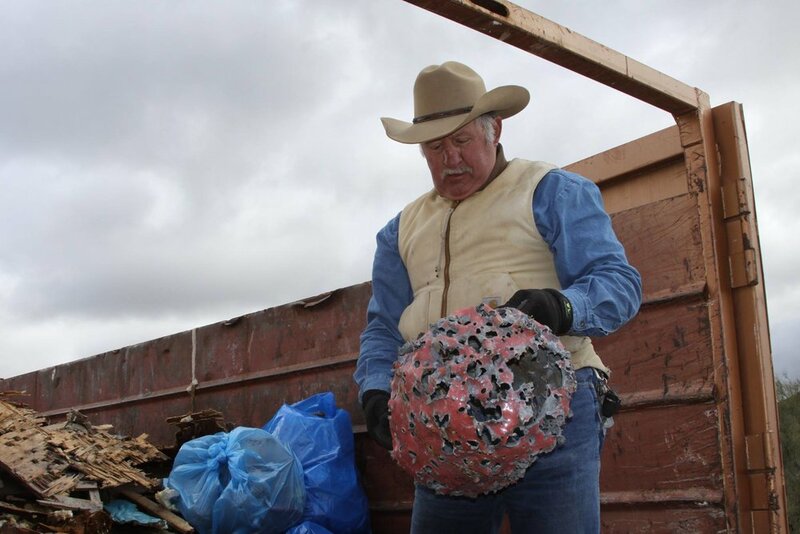 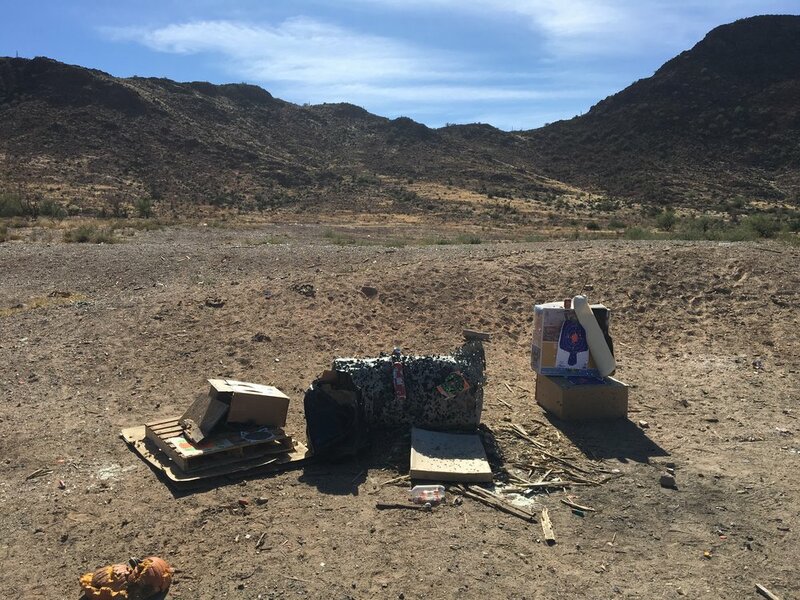 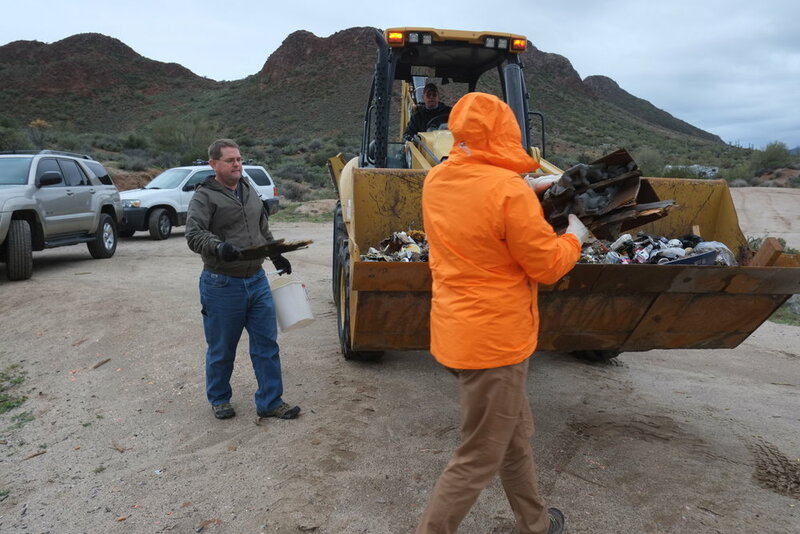 166 volunteers came out to remove 40.53 tons of trash illegally dumped or left behind by irresponsible target shooters in some of the most beautiful landscapes in our state. 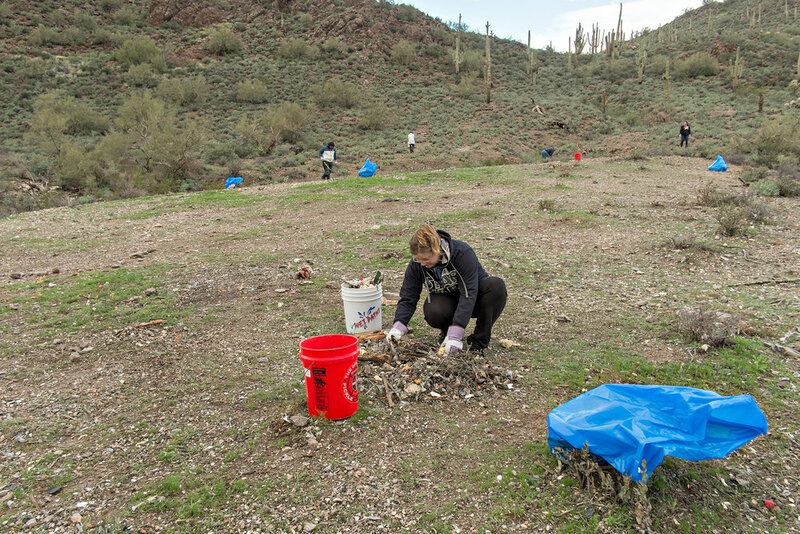 We had two entirely different cleanup sites for this event. 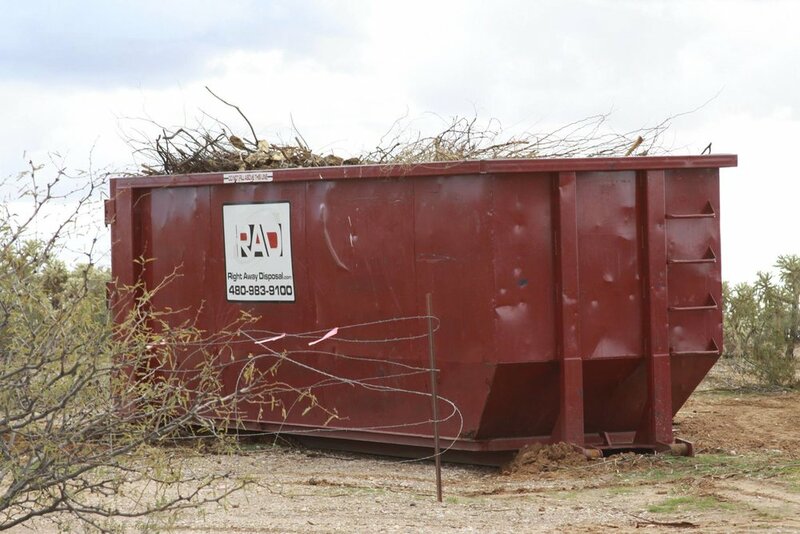 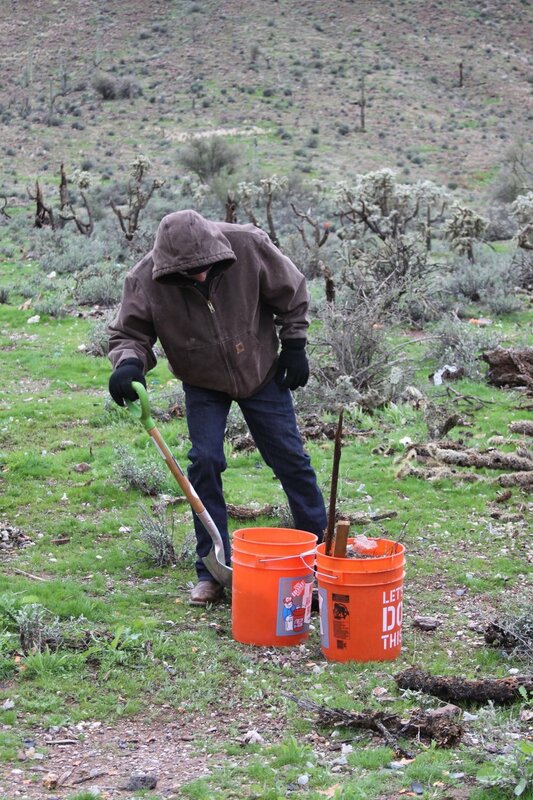 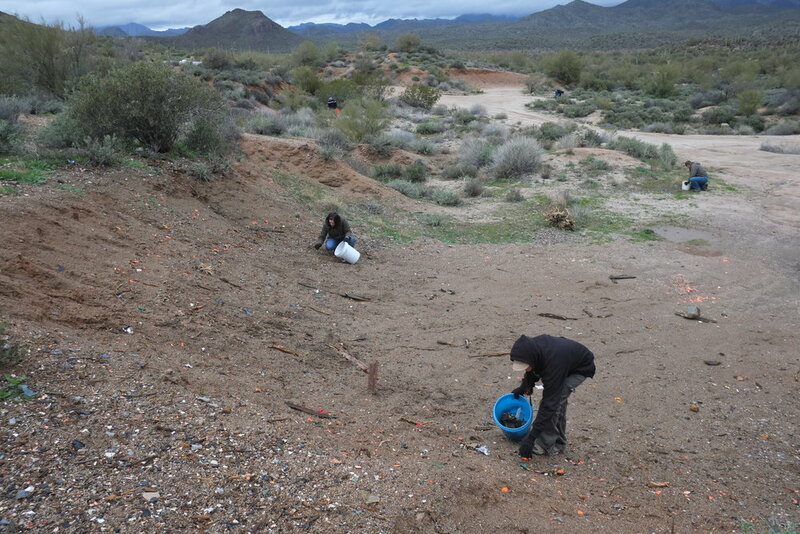 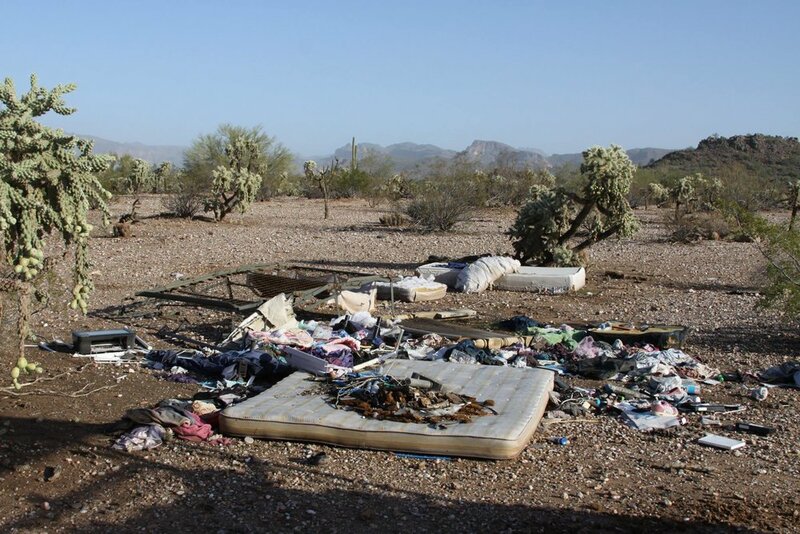 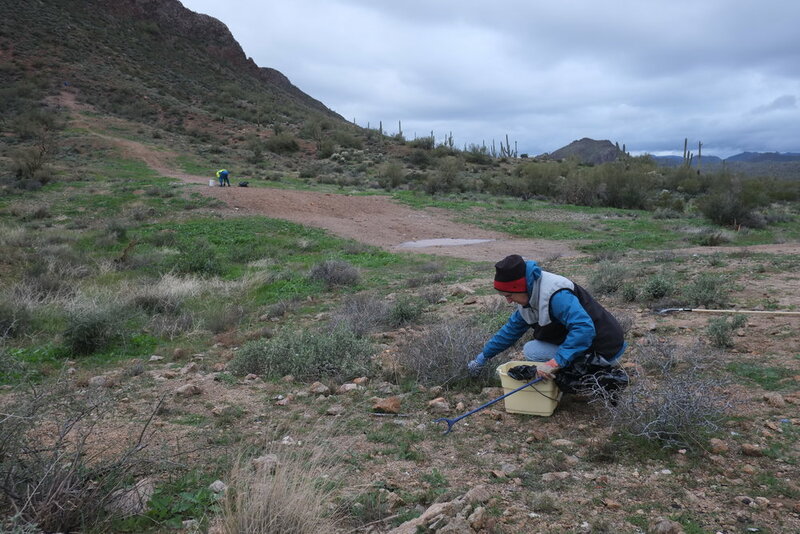 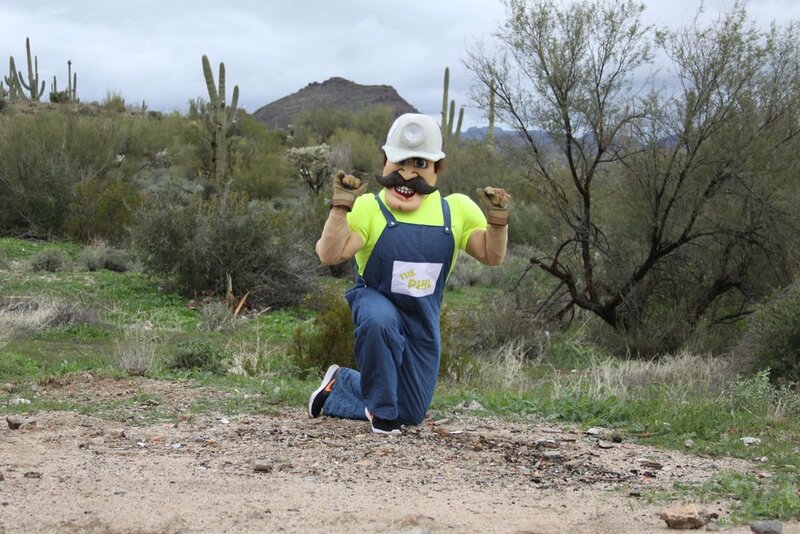 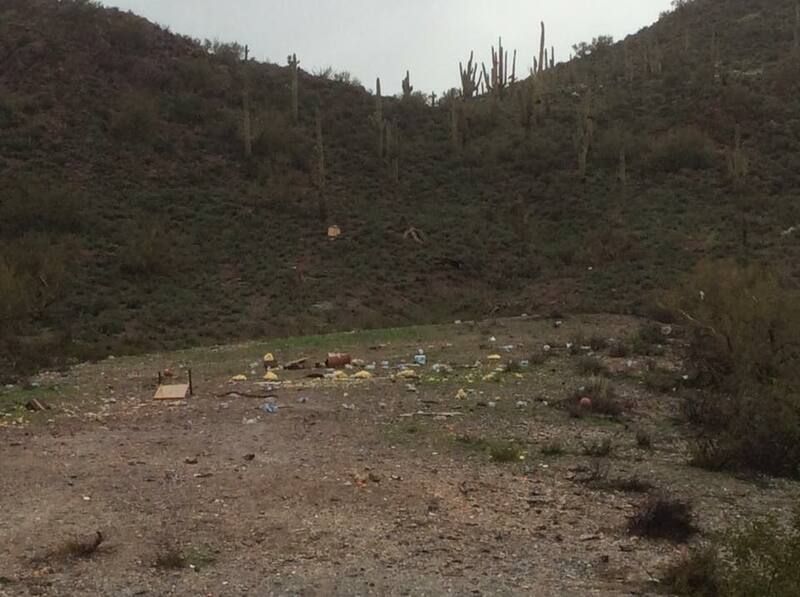 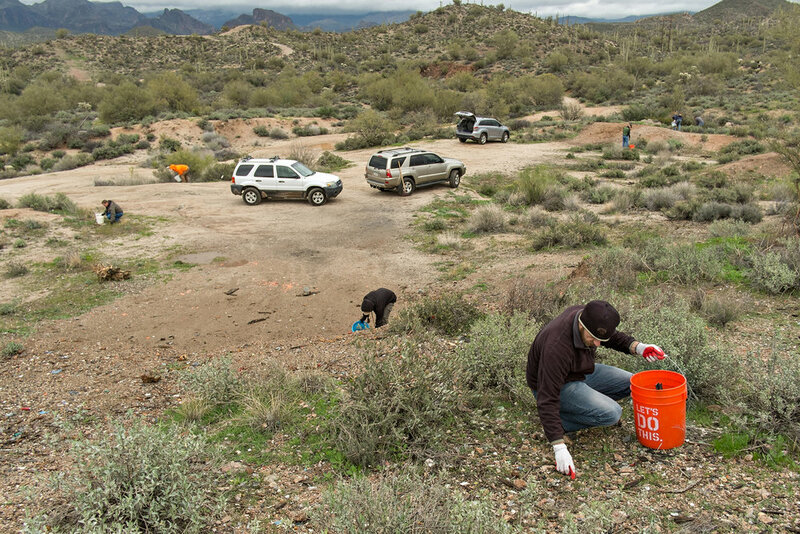 44 volunteers worked on Arizona State Trust Land between Gold Canyon and Queen Valley to remove 20.06 tons of trash. 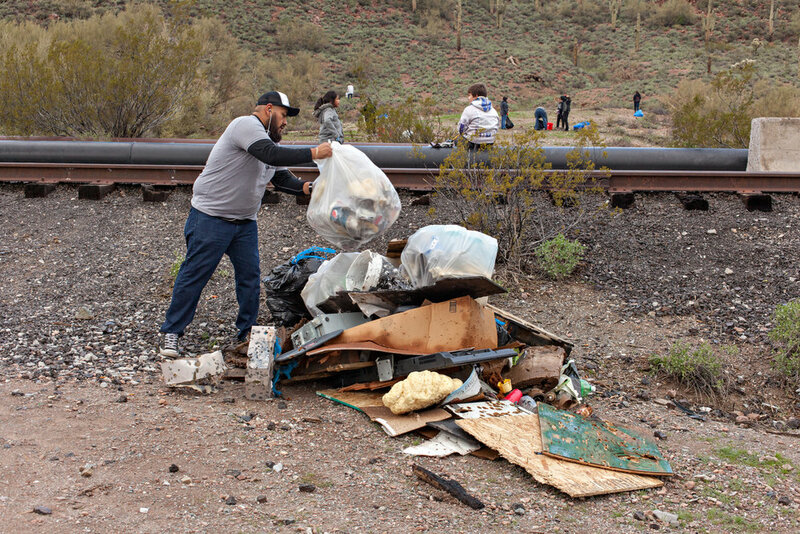 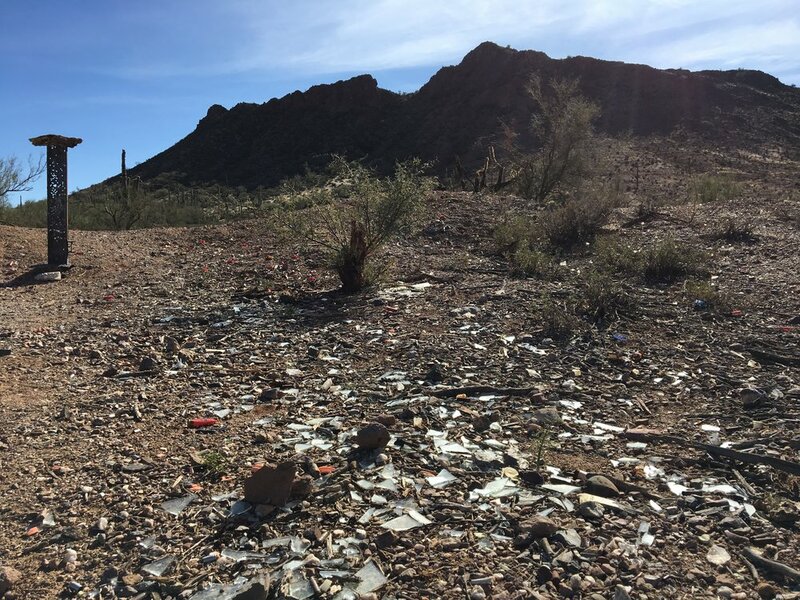 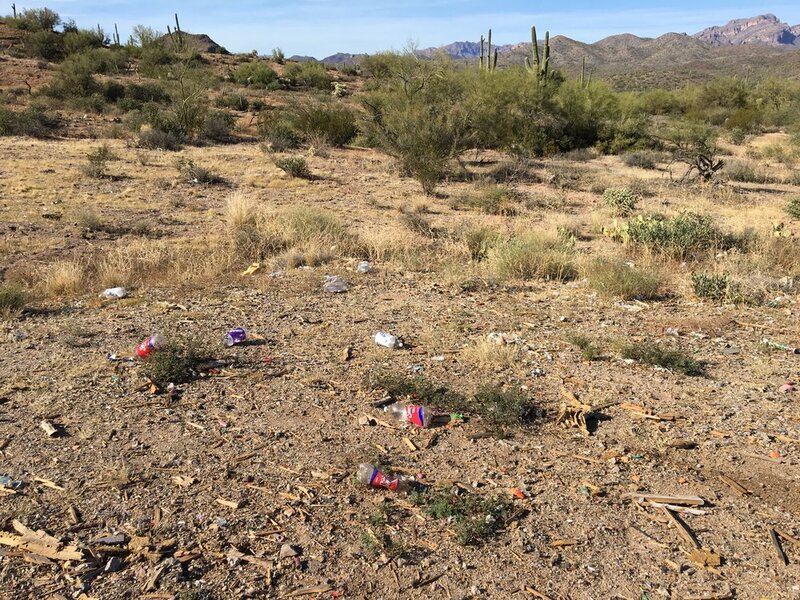 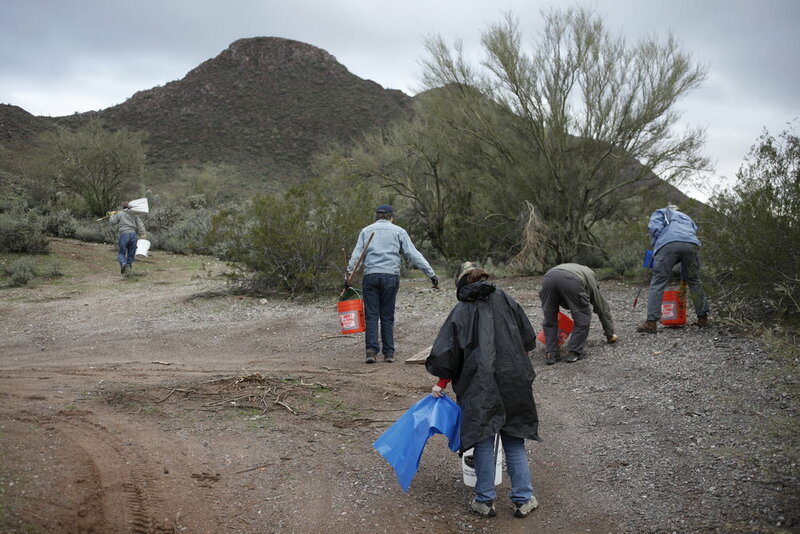 122 volunteers came out over the course of the morning and early afternoon to work on Tonto National Forest Land at Hewitt Station to remove 20.47 tons of trash. 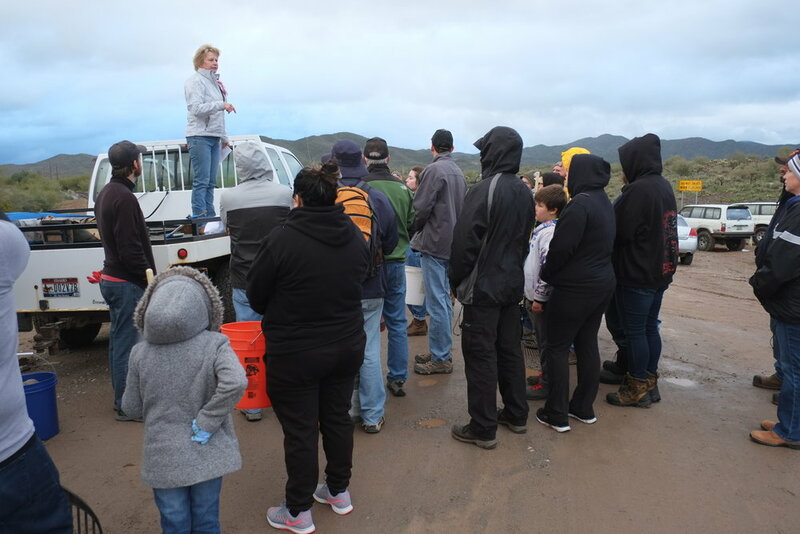 Before splitting into groups & heading out, the first wave of volunteers gathered for a brief safety meeting & game plan. 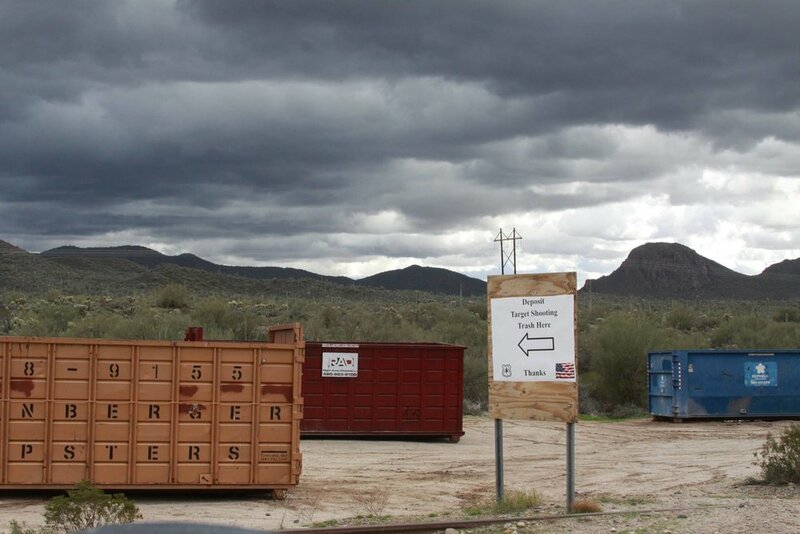 We would like to thank Right Away Disposal, Republic Services, Weinberger Waste and Disposal, and J. Bowers and Associates for providing the dumpsters for the event. 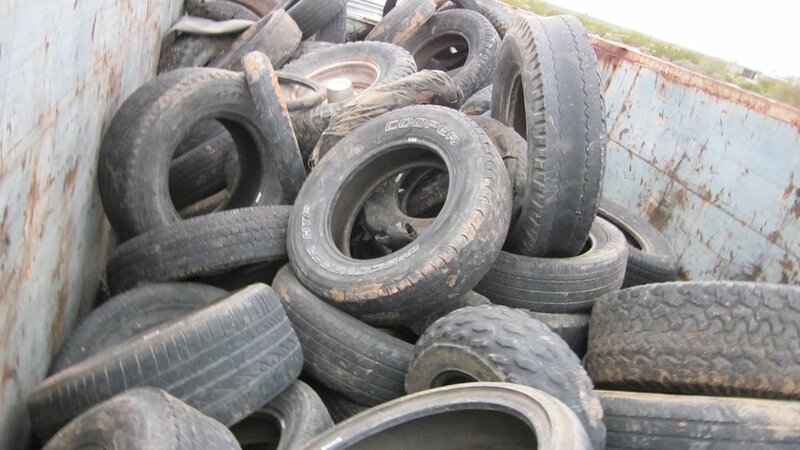 And thanks to Pinal County Public Works for the tire dumpster and tire recycling. 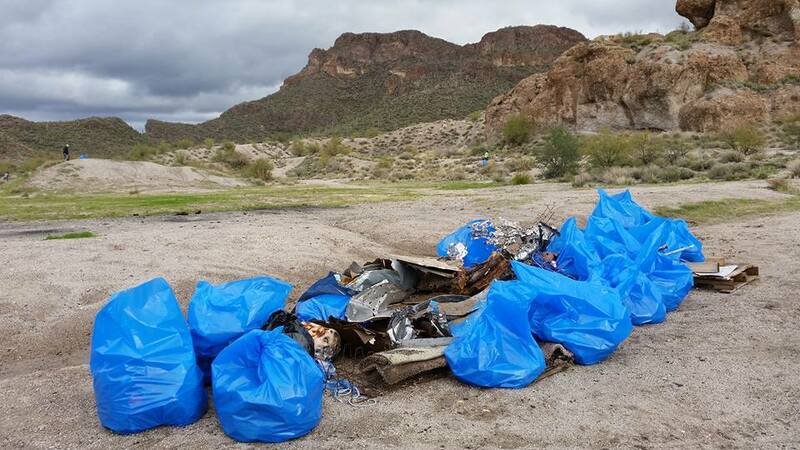 We would also like to thank all of the organizations who helped make this cleanup a success: Arizona Trail Association, Arizona Game & Fish Department Mesa Region, Arizona State Land Department, Empire Cat, The Home Depot, Imerys, Pinal County Sheriff's Office, and the U.S. Forest Service - Tonto National Forest, Mesa Ranger District. 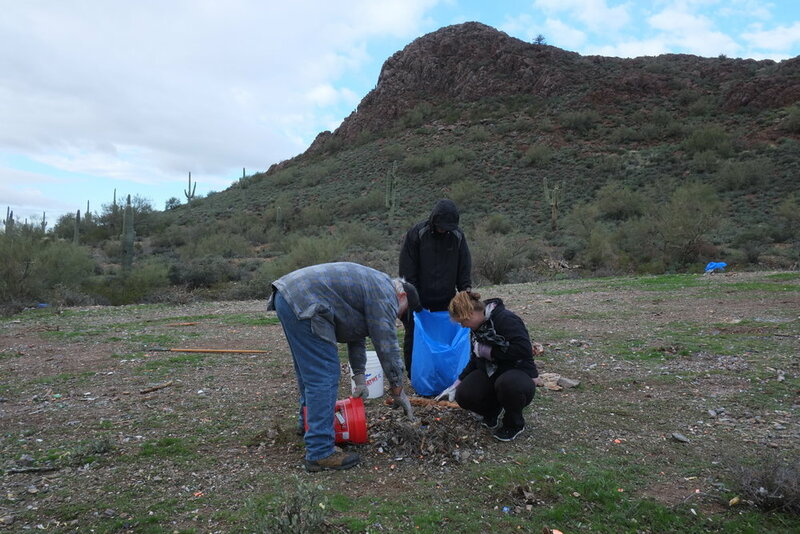 Thank you to members of Tonto Recreation Alliance and the Gold Canyon Lions Club coming out and volunteering with us! 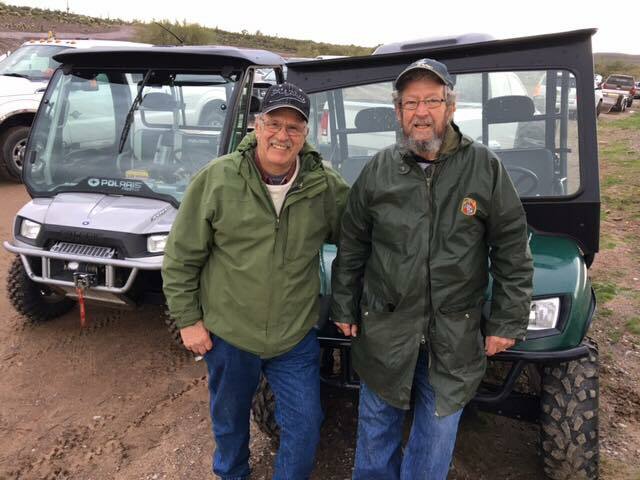 And thank you Judd and Roxey Bowers for all of the bottled water you brought and passed out to volunteers, best water taxi around! 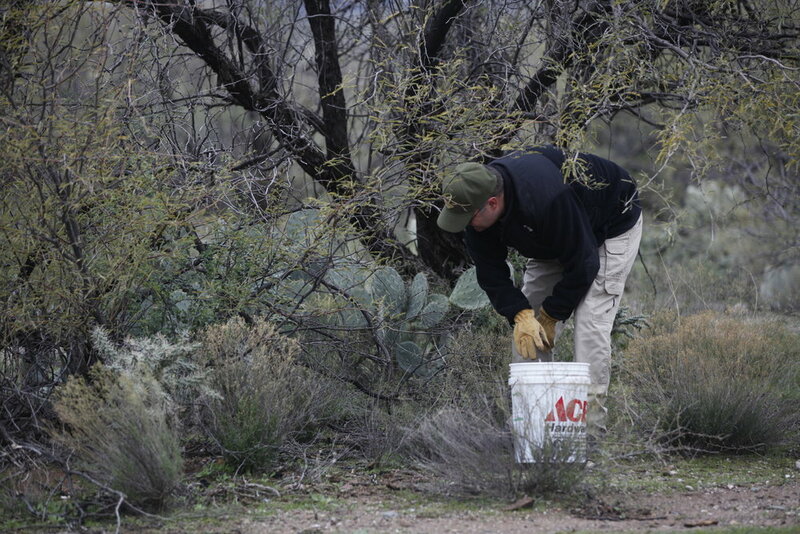 Additional Photos from Nicole Corey, Sue Schaffer, and Shawna Ketcherside. 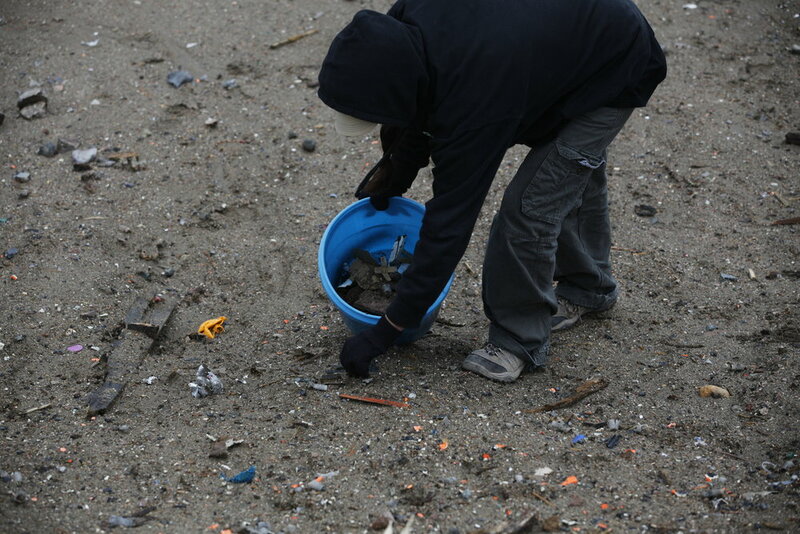 Click images for larger view.